This is where you find informative related knitting websites, arts & crafts and other great hobbies websites. 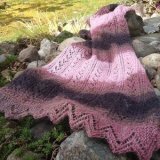 Ravelry.com - A friendly knitting & crocheting community where knitters can meet, chat, share pattern, sale patterns, show off your projects and much more. Joined by over 2 million knitters around the world. This is a great pattern directory site where you can find all sort of knitting patterns you can imagine. This is a great site to find so many beautiful patterns submitted by many talented knitters. 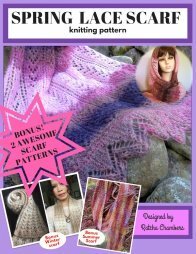 Download free knitting ebooks and much much more. I just love this site! A great place for knitters to be. Join free forum for all knitting chit-chat. Share patterns, ask questions and more! This a great website for FREE patterns to make doll clothes for American Girl, Barbie, Baby Dolls and others. It has many cute patterns to sew, knit, or crochet for your dolls. www.nellsbabyknits.co.uk - Download beautiful, affordable baby patterns here. The patterns are designed by Karen, who has been knitting for over 30 years. Give her a visit and see how gorgeous her works are. www.magic.yarnshopping.com - fancy and classic yarn at discount price. http://www.kingcole.co.uk/knitting-patterns.html Find gorgeous knitting patterns for adults, kids and many more Here! http://www.yarnMarket.com One of my favorite yarn shops. It has so many brands and types of yarns and all the knitting supplies you need. Plus incredible discounts everyday! This a great site to find all the free craft projects you ever wanted. The GLC Arts and Crafts Mall is designed for the buy and selling of all Handmade Arts and Crafts. Crochet pattern books - your one stop shop for vintage crochet patterns. Each of these digitally restored ebooks are available for instant download. Here is a great site for art lovers - Thumb Print and Thumb Print Too is the home for art, clothing, and objects. The thumbprint, a characteristic of all humans, is a symbol of this business. It is the uniqueness of a natural pattern created from a limited set of elements, "...as genuine as your own." http://www.craft-a-project.com - Free craft projects with instructional videos and so much more! Looking for Completely Unique Gifts for your loved ones? Look no further! This website will help you find something totally unique and exciting, for any occasion. The main goal of my website is to help people feeling better, and giving is a great way to accomplish just that! A craft explaining sand caving to create three dimensional designs into glass. Learn how to make your own fabulous creations with easy step-by-step instructions for basket assembly, basket wrapping and tying bows. Tons of fun gift basket ideas for children, holidays, gourmet food, theme baskets and much more! Crafts For All Seasons is a website with many http://www.crafts-for-all-seasons.com/arts-and-crafts-idea.html, including projects for children and adults alike. You'll love the easy to follow photo tutorials. Microwavable Heating Pads Improve Blood Flow for Added Pain Relief & Enhance The Body's Natural Healing Power Over Aches & Stress. Make your own crocheted trellis yarn necklaces and accessories. 80+ colors of trellis yarn, scarf yarns, and more. Now is the perfect time to create a sewing business. Learn to sell your masterpiece to the world, plus a few tips and techniques. Sewing is always in demand, whether the economy is up or down. List in our sewing directory today. Here has some more fun and easy paper-cutting for kids. A resource site for parents, preschool and elementary school teachers to do paper crafts with children. Lots of free patterns for you to enjoy. Exhibition Stand Design - Exhibition stand design & trade show stand builders. Jellybean Exhibition contractors design, manufacture & install custom built display stands & booths for trade fairs & events. Guidelines-working while on Social Security Disability or early retirement. Real at home income and job sites. Put up your own page and sell your hobby here. You can submit your knitting or art & craft site to add to this page using the form below. All I ask for is a link back to my home page; http://www. to-knit-knitting-stitches.com or you can choose to link to any page that suites you.